Detailing the physical features, habits, territorial reach and other identifying qualities of the Small Bird Dropping Moth. One of nature's most popular allergens is the favorite food of the Small Bird Dropping Moth. 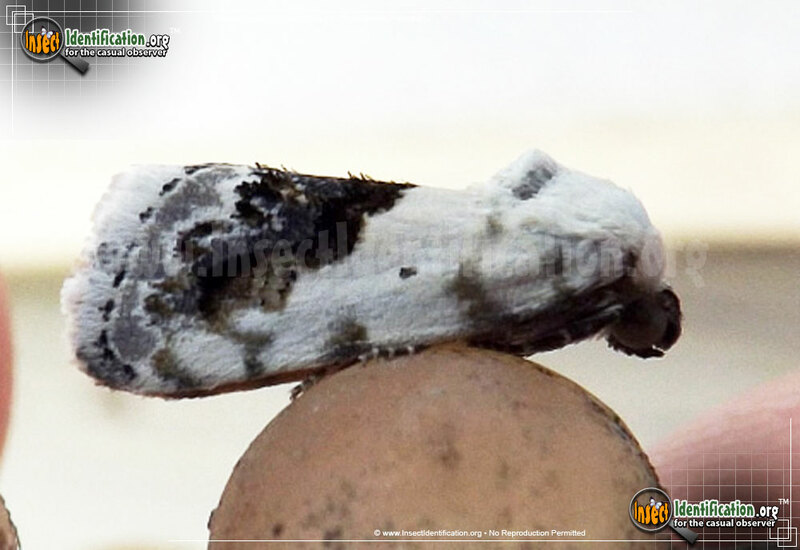 The white and black Small Bird Dropping Moth looks just like it sounds. This form of camouflage helps protect the moth from predators. The front part of the moth is white and in the middle of this stands a single small black dot. The lower part of the wings are mottled with black, white, gray, brown, and even green colors, creating the marbled effect often seen in bird poop. Caterpillars of the Small Bird Dropping Moth feed on ragweed, a plant that causes many people to sniffle, sneeze, and struggle to breathe in the spring and summer. This tiny natural consumer of ragweed can produce up to three broods in one year. It is a common moth, just like its food source. Look for this moth in the weedy parts of yards, fields, and lots.